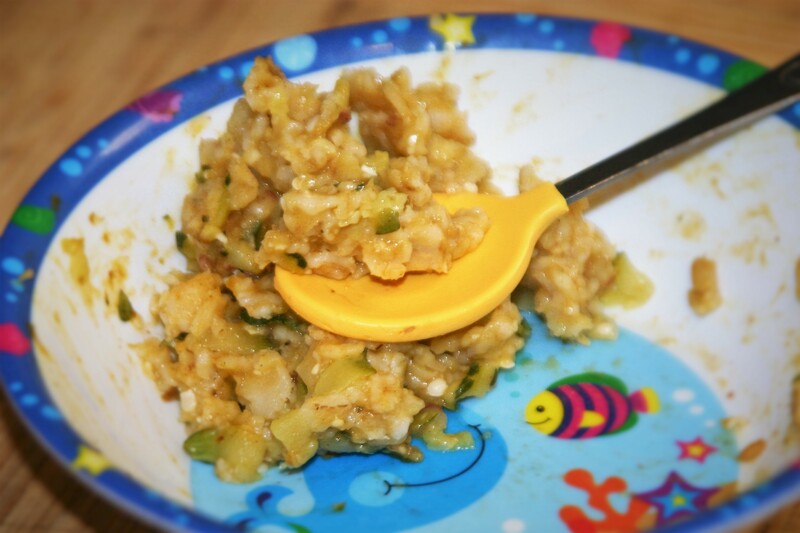 My sweet toddler continues to eat most of her vegetables in things, primarily oatmeal and scrambled tofu, her two favorites. I used to make only her superfood oatmeal because that is all she would eat, now we are branching out to keep things fresh. 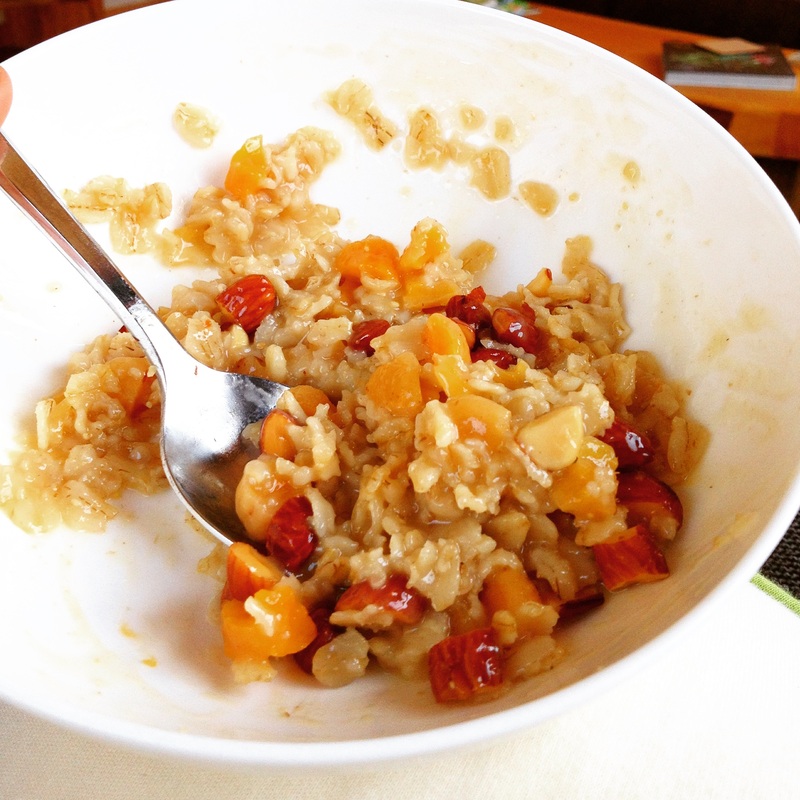 This oatmeal is backed with veggies, and tastes just a bit sweet from the dates, with hints of fall with the pumpkin and cinnamon. We, of course, have to serve oatmeal in the “fish” bowl. It just doesn’t taste as good otherwise. This recipe makes A LOT of oatmeal. She eats a ton! For most people I would say this would serve 4. Combine the water, zucchini, dates, and salt in a small saucepan. Cover and bring to a boil. Once the water is boiling add rolled oats, pumpkin, cinnamon, and hemp seeds if using, and cook stirring occasionally until water is absorbed, about 5-7 minutes. Once oatmeal is cooked remove from heat and stir in flax seeds if using. I serve as is to my toddler, and add a touch of maple syrup to my bowl.